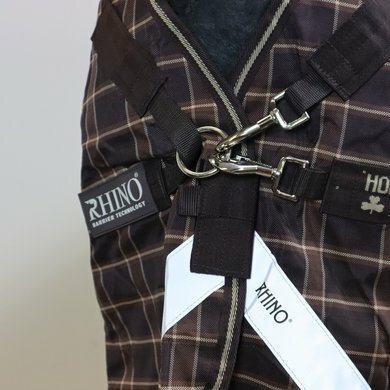 The Rhino Wug Turnout Heavy has a waterproof and breathable outer layer. 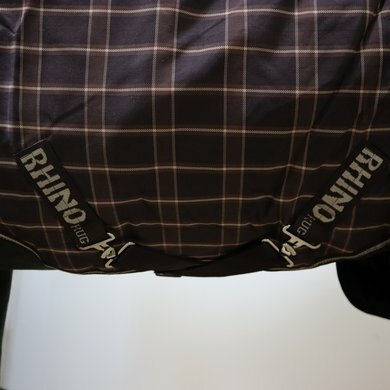 The blanket uses a unique barrier technology, the outer layer consists of 1000D polypropylene which protects the waterproof and breathable underlying layer. 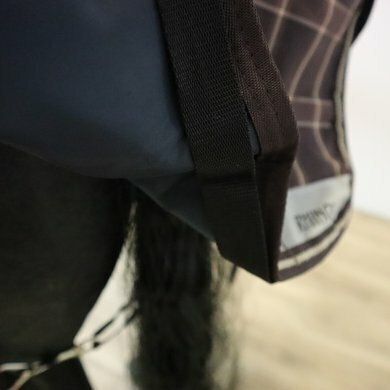 Polypropylene is a very strong alternative to the often used polyester turnout material. 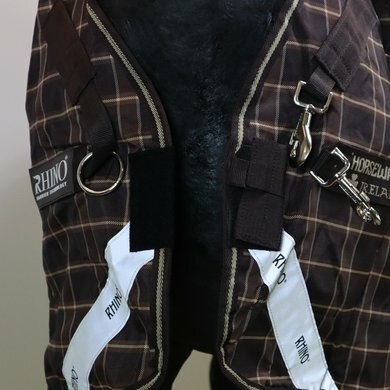 The inner lining is antistatic and antibacterial polyester. 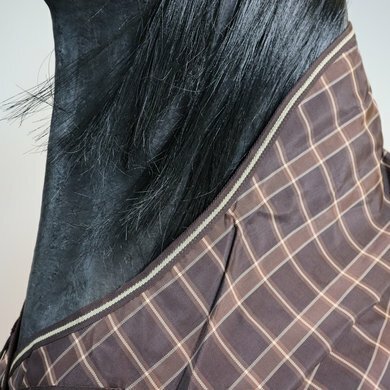 The blanket has a classic half-neck design to prevent pressure on the withers. 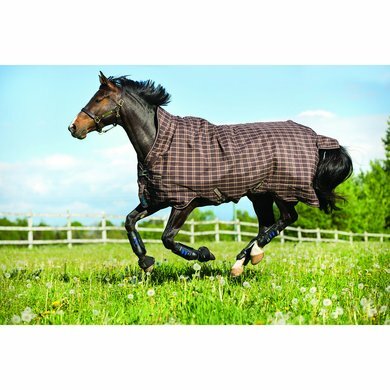 The blanket also features V-Front closure on the chest, anatomical leg arches for more freedom of movement at the legs, cross surcingles, leg strap, tail flap and reflective strips. This blanket is 400 grams lined. 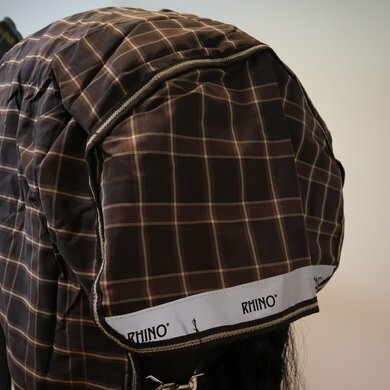 The blanket is not equipped with the Horseware Linersystem. Is nice on my Quarter. 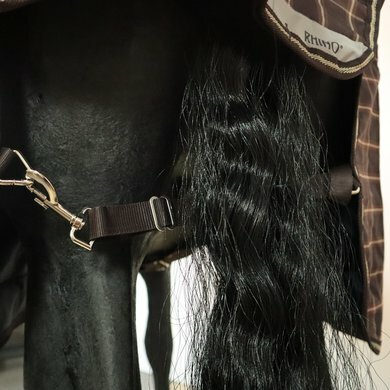 Because of the half neck no pressures on the withers. Answer: This blanket has a half neck, you can not attach a neck piece here. The lining is made of nylon and this blanket is 400 grams lined. The outer fabric is made of 100Denier polypropylene.